We live in a world where people expect an easy, quick, and intuitive experience with their technology of choice – and our standards are only going higher as younger generations emerge into the workforce. No matter what, the business user experience with enterprise applications must always be as good as their experience with consumer applications. And when businesses perfect these interactions, the result is nothing less than a wave of loyalty, trust, and advocacy. Cloud application and platforms are supremely primed to deliver and accelerate innovation. Serving as accelerators, the technologies help businesses become intelligent and innovative businesses by quickly optimizing resources, delivering new business models, and transforming the user experience for both employees and customers. Since SAP first launched SAP Preferred Success 18 months ago, we have seen our customers undergo tremendous growth as they deploy and adopt cloud technologies successfully to realize such outcomes with intensity and speed. Part of the cloud’s allure is the opportunity to embrace new capabilities continuously and satisfy customer and employee needs with agility. These benefits can only be achieved when technology is adopted, connected, and consumed effectively, which depends largely on how the business manages change. For example, employees need to be highly engaged to accept new ways of getting work done. Strict governance over data and access needs to be an ever-present priority. But most of all, the business culture needs to acquire the right mindset for process flexibility and continuous innovation. However, the pace of technology innovation is so fast that it can be overwhelming to spot the potential and relevance of new product features to your business. The key is to understand the impact of new capabilities in meeting your strategic goals – and roll them out within a seamless change management process. DEE GmbH, a German corporate fashion supplier, recognized that, to stay competitive, they needed to adopt a more flexible ERP system that would quickly process orders while striking the balance between demand and inventory. SAP Preferred Success provided DEE a tailored experience that cleared a path to rapid and meaningful adoption, learning and advanced support of SAP cloud solutions. According to IDC, organizations perform as much as 13% better when training is accessible and thorough. More than the ability to use a cloud solution, employees feel empowered and view the technology they are using as the enabler of their professional success and future advancement. SAP Preferred Success is designed to help our customers adopt the full scale of what cloud solutions offer now and for years to come. This means that business users and customers can leverage processes that simplify tasks, accelerate benefits, and sets them on the path to becoming an intelligent enterprise. As a customer success management model, SAP Preferred Success enables our customers to realize quantifiable results. For example, through SAP Preferred Success business outcome-based checks, our internal assessment of customers indicate that 76% of companies adopt valuable new features. These results make it easier to gain insight into the success of your investment in a cloud solution and make better decisions to improve the customer and employee experience. 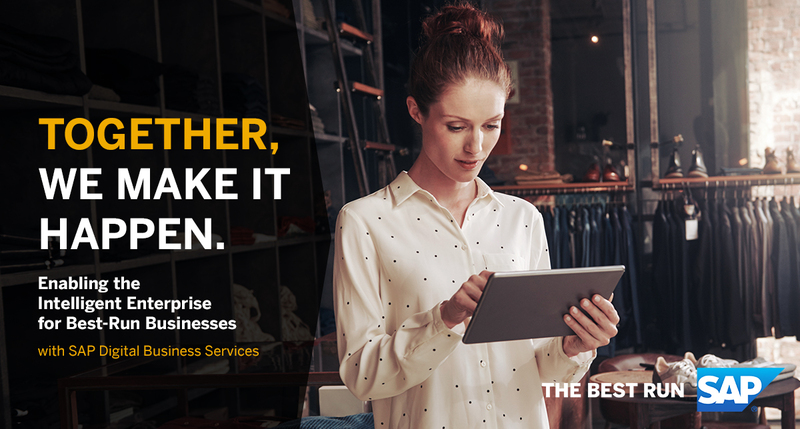 Follow this series by bookmarking and follow me on social media, in the meantime, we encourage you to expedite your business growth with less effort and greater intelligence by using the SAP Preferred Success service.